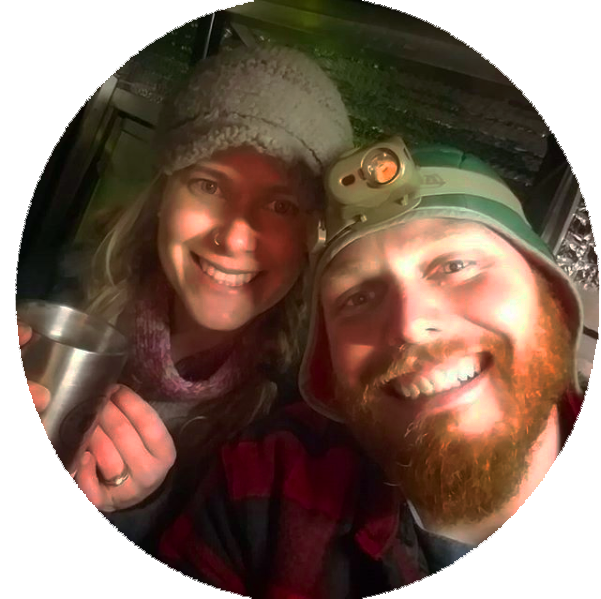 In one of our first post about trail nutrition we made a comment about coming back and touching on this all important topic as the hike progresses. For the first 700 miles nothing came up worth wring about but in the last two weeks it seems like almost every hiker we meet up with is starting to question their diet of Pop-Tarts and ramen noodles! It makes sense, the body is running out of fat reserves and trying to bump up mileage in the not-so-flat terrain of Virginia is starting to take its toll. So with that in mind, this is some of what we have been seeing and hearing the last couple days. 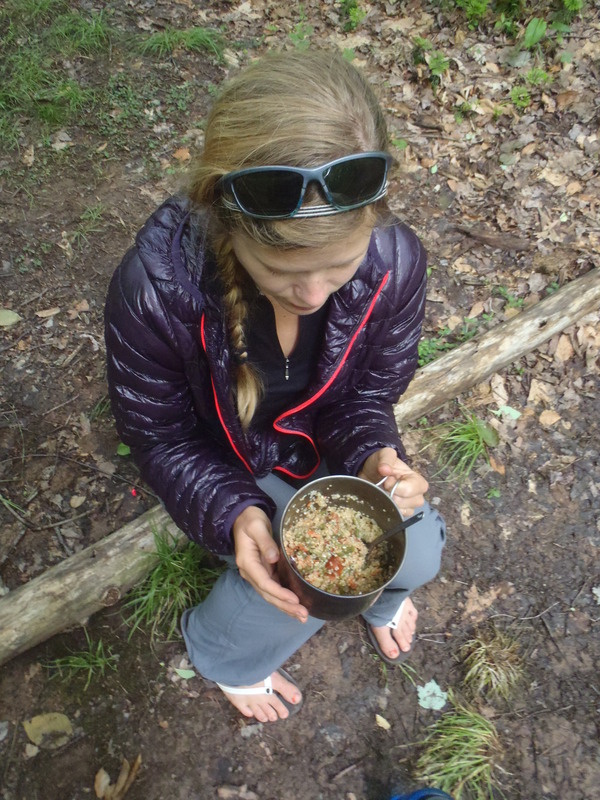 The average thru-hiker eats a predictable diet. With cost constraints, weight restrictions and often being forced to buy what is available at a small town convenience store, the ability to have a well-rounded diet geared towards sports performance is severely diminished. 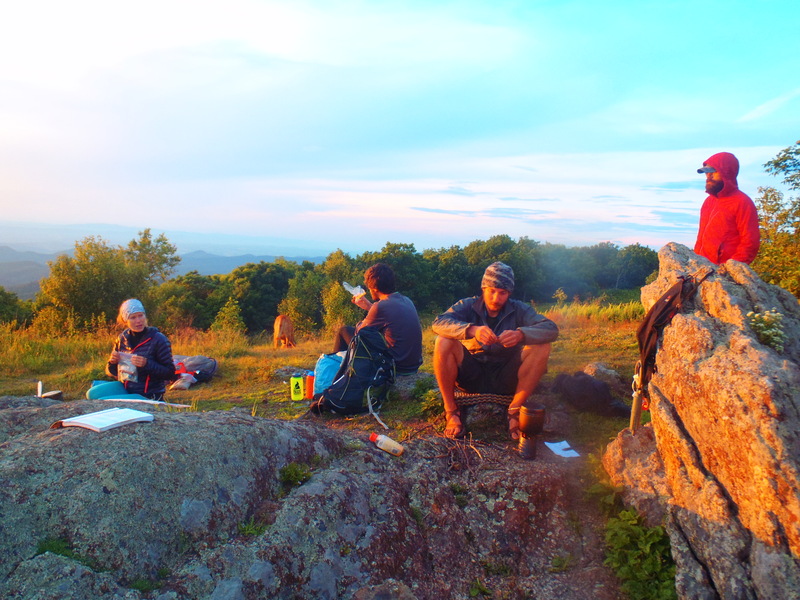 More often than not, hikers wake up with a Pop-Tart for breakfast, snack on cookies, chips or candy bars during the day, eat a mid-hike lunch involving a tortilla and peanut butter or sometimes cheese, and then finish the day by cooking ramen, a pasta side or powdered mashed potatoes. Unfortunately, without even realizing it, people are fueling their body on simple sugars and bleached flour which is turned into simple sugars. The problem only gets worse in town, when Dairy Queen is the first stop we want to make for a 2,000 calorie Blizzard as opposed to a rotisserie chicken, bundle of bananas and two avocados. 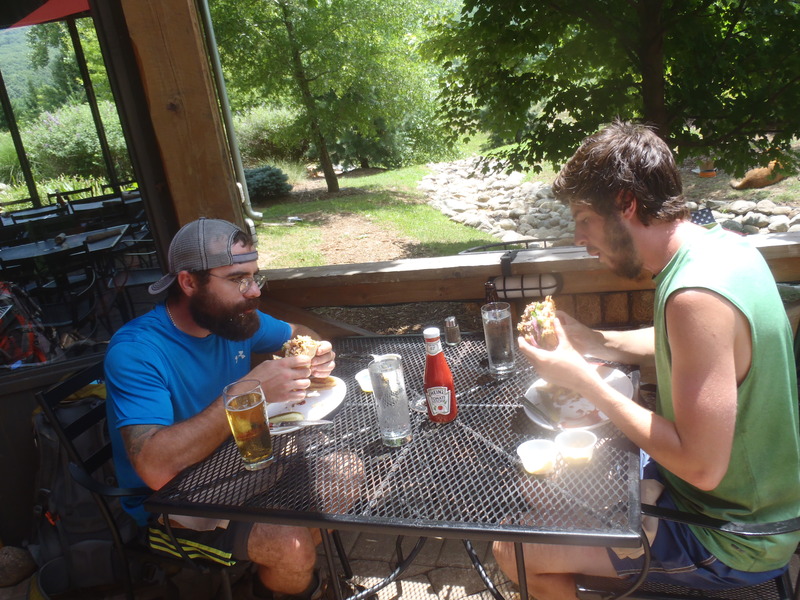 It seems that most of us began the trail with sufficient fat reserves to sustain such a diet for about two months but as the miles add up and the body becomes more and more broken down those depleted reserves are not able to sustain 20 mile days. Action shot of Lindsay eating, likely some part of this was donated by section hikers. We can only speak from experience on the AT, but here is our answer to that question: The body is under recovered from a lack of good fats and no protein. 1. Make your own trail mix to snack on, dump nuts other than just peanuts into a bag for fats and protein. Put in any dried fruit other than just raisins for vitamins, minerals, fiber and fructose. Finish it off with a few hand fulls of M&Ms for quick burning sugars and morale. This gives you a cheap, healthy snack with both quick and long burning energy. 2. Finish every night with protein in your dinner; tuna, pepperoni, summer sausage or fresh steaks. It doesn’t matter what it is but you need some dead animal in your nighttime meal. 3. Trade out the ramen and pasta sides for some Jasmine or Basmati rice. It still cooks fast, adds carbohydrate variance and even saves some money. 4. Powdered Eggs!They are light, precooked, cheap and can go with any meal. Seriously, powdered eggs are the best experiment we have tried out here. 5. When in town eat different food from what you get on the trail, especially those missed veggies. So there it is, hopefully this has given a little more perspective to non-hikers about what is going on during a thru-hike and has helped some future long distance hikers plan their next trip! Hey man, thanks for the link. The NOLS guys definitely have their stuff together and what a dream job to be an instructor out there. I think the hardest part in a nutrition plan on the AT might just be finding the ingredients you want on the trail at a resupply stop. It’d be nice if gas stations had good ingredients instead of just honey buns and slim jims. Hey guys thanks for following along and glad we could help a little bit! In town our go-to meal is either a giant tub of Greek Yogurt, frozen berries and a bunch of honey or a rotisserie chicken and a deli salad. On the trail our special meal is a bit of quinoa, dehydrated potatoes (I know…), dehydrated veggies and crumbled smoked Alaskan Red Salmon that we caught last summer and vac packed. We don’t have a ton of salmon in our mail drops but it is awesome when we get it! Yes! Finally someone writes about rice ready.